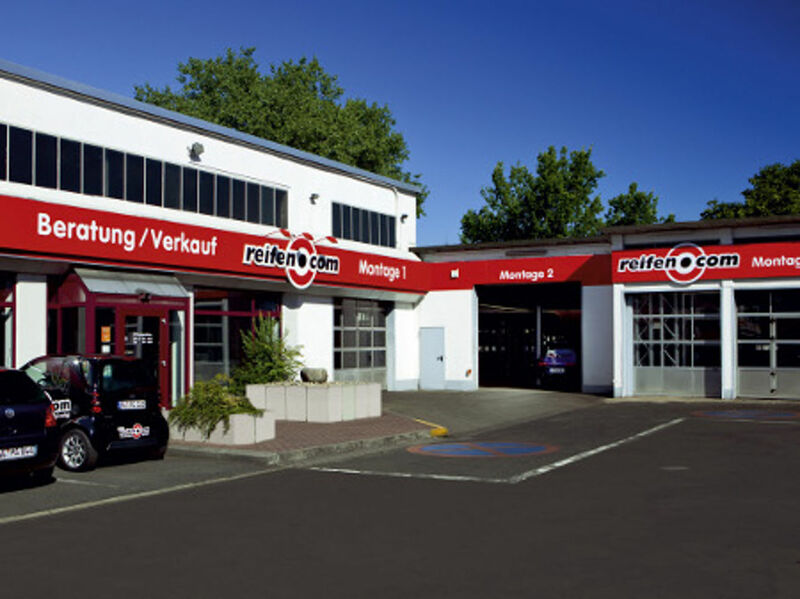 Our branch at Am Römerhof in Frankfurt, which opened in 2005, employs three salespersons as well as five permanently employed trained tyre fitters partly with professional experience of over 15 years. During the peak season we demand further fitters to guarantee short waiting times if possible. 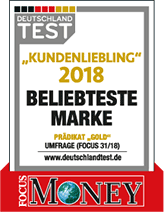 Next to the consultation and sale of tyres reifencom GmbH in Frankfurt offers you a rim exhibition with over 70 different rims on a sales area of 100 square meters. 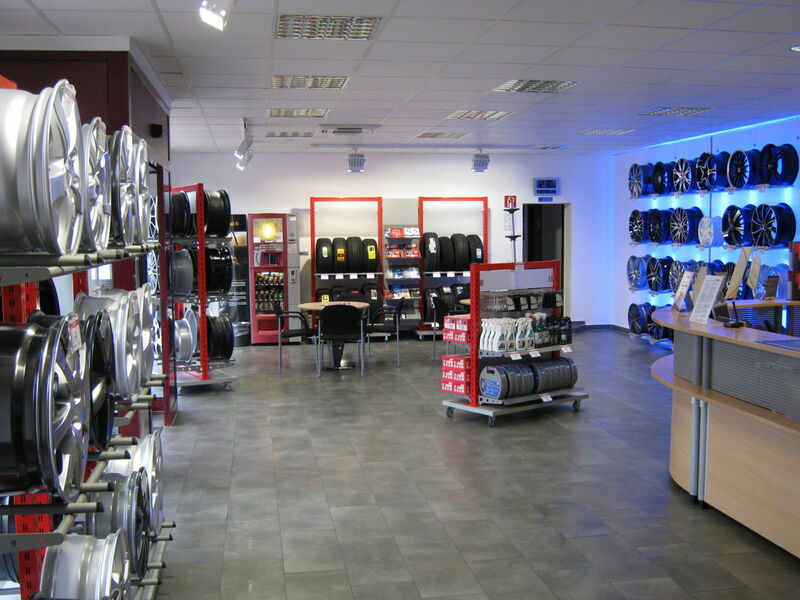 At the same time you have the possibility to have your tyres stored. There is space for up to 1,200 sets of wheels. 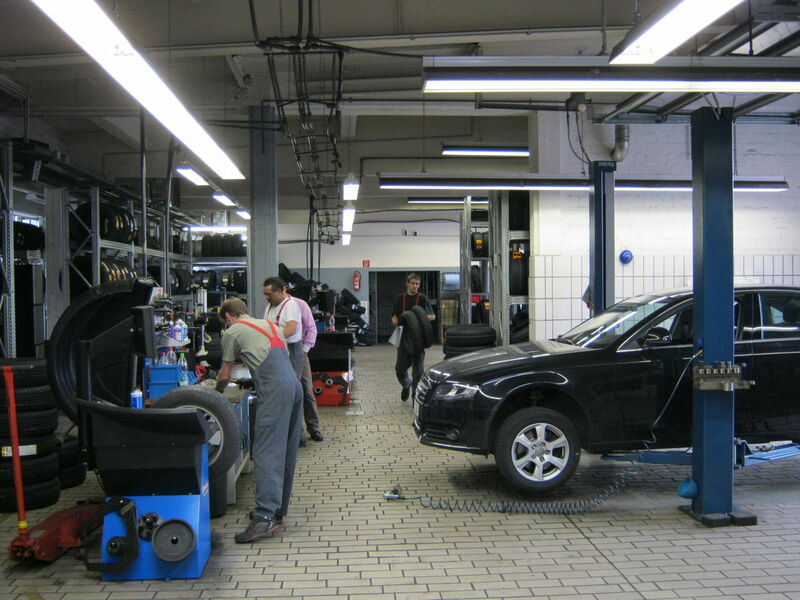 The branch in Frankfurt is close to the vehicle registration office in Frankfurt. The branch is surrounded by two autobahns as well as Mainzer Landstraße. Coming from autobahn A5, drive into Mainzer Landstraße and turn into Schmidtstraße. This leads you directly to Am Römerhof. 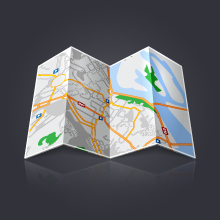 Alternatively you can take the autobahn A648 and take the exit 44 in the southern direction to Am Römerhof. Have we awoken your interest? Then make an appointment with our reifen.com branch now. 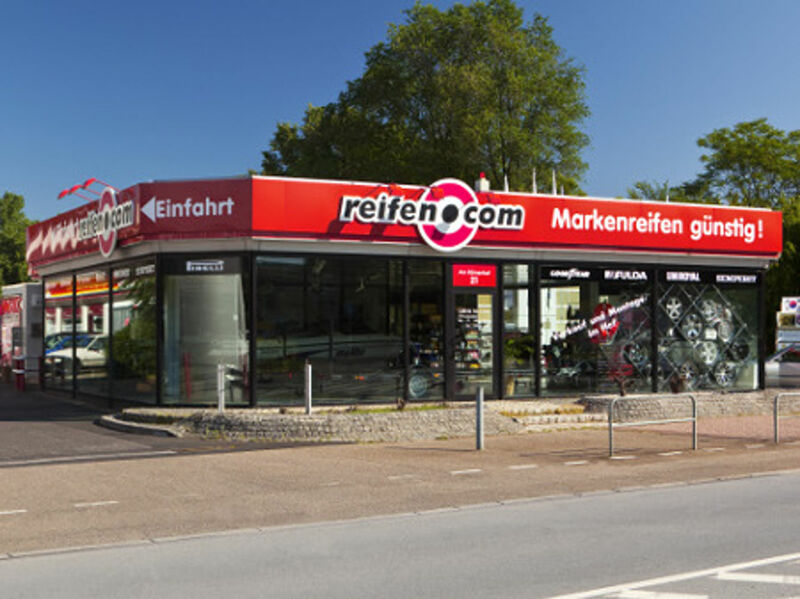 Note: You can find a further branch of reifencom GmbH in Frankfurt Fechenheim.